We have no idea when we’d ever use it, but this bunk-bed slash cot thing—okay, this Disc-O-Bed Cam-O-Bunk ($319)—is pretty cool. 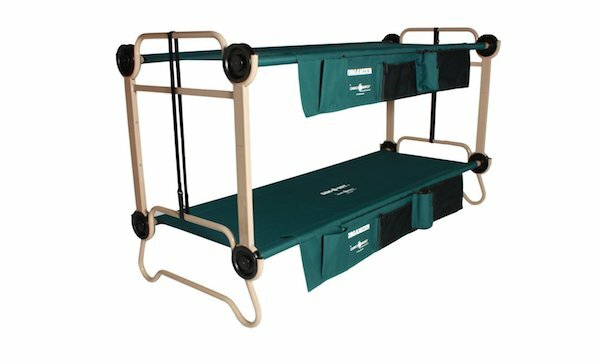 Like most cots, it’s fully collapsible, but this one has the added benefit taking up less floor space. Okay, thought of a use: having dozens of extended family in one house for a reunion or Christmas where you forget one kid at home. We guess.